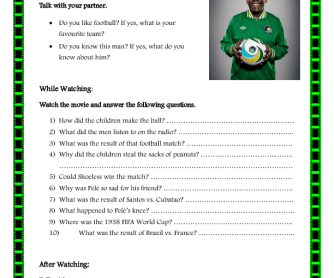 I have designed this worksheet based on the movie, Pele: Birth of a Legend. It includes three sections, before watching, while watching, and after watching. It is designed for pre-intermediate levels. Hope it works.